This dry mask mix by Meenoo organics is rich in detoxifying clays and healing herbal extracts that leave your skin glowing! Just add water and apply. Draw out impurities, neutralise the skin and soothe inflammation. Vegan and cruelty free. 100g. Cleanse, detoxify, tone and soothe the skin with this blend of clay and herbal extracts. 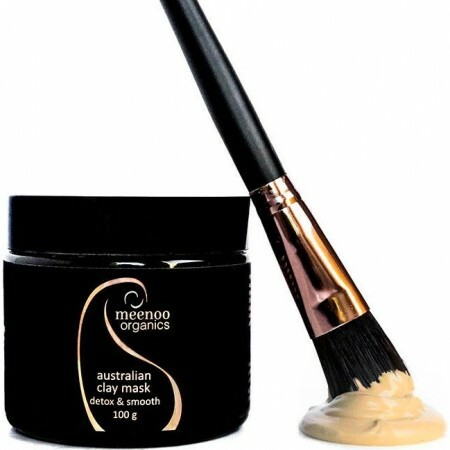 Australian Yellow Clay lightly exfoliates the skin and draws out impurities. 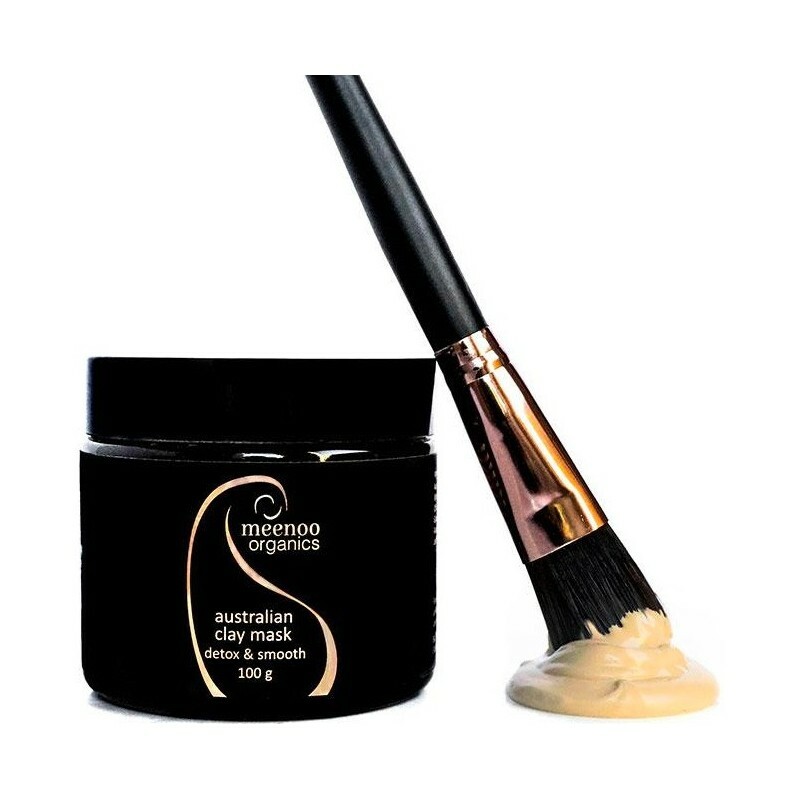 Australia Kaolin White Clay is gentle on the skin and rich in minerals. Zeolite Clay neutralises the skin and attracts heavy metals. Herbal mix of Licorice and Marshmellow Roots, Gotu Kola and Aloe Vera soothe and calm issues such as inflammation, redness and irritation. 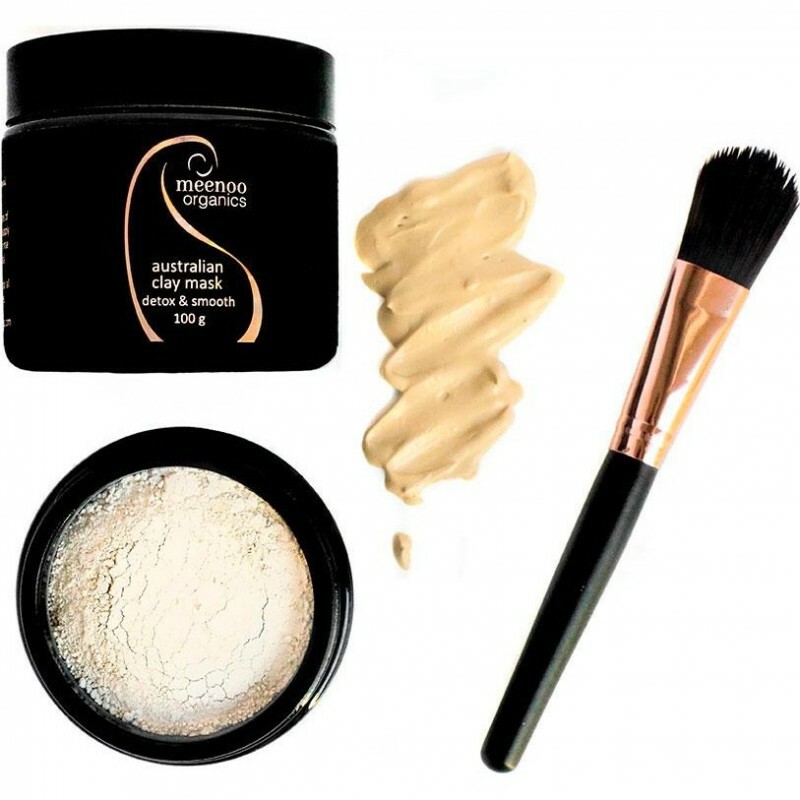 Mix 2 teaspoons of powder with 2 teaspoons of water and apply to face. Leave 10 - 15 minutes to dry then rinse with lukewarm water. Do not use a metal container or spoon to mix.